Since 1981, Last Hope has been dedicated to the rescue and rehabilitation of stray, abandoned and death-due pound animals. Foster a cat or kitten! 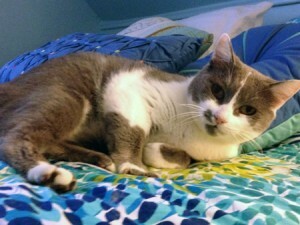 This gray and white beauty named Clara was rescued from a feral colony where she must have been dumped. She is very sweet and loving and obviously had a home at one time. She enjoys petting, sitting on laps, and likes other cats! Clara is estimated to be about 4 or 5 years old. Maybe you will be the one that has room in your heart and home for Clara?? Come visit me at the Adoption Center in Wantagh, New York. 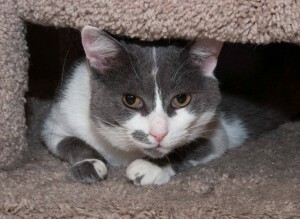 This entry was posted in Adult, Cats, News, Wantagh Adoption Center. Bookmark the permalink.